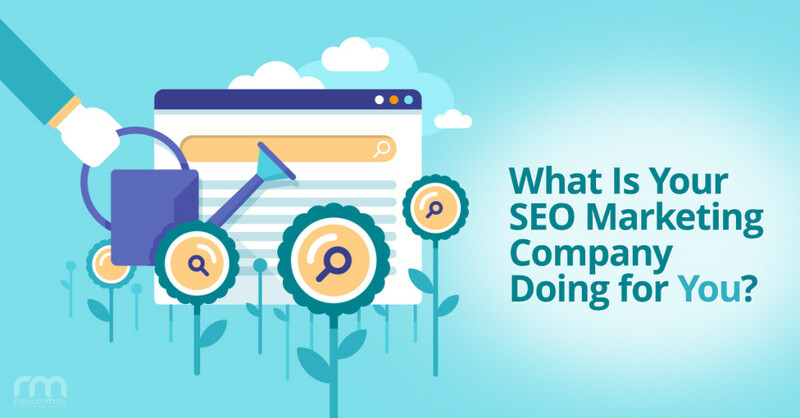 What Is Your SEO Marketing Company Doing for You? Is your website not performing as well as you hoped it would? Or how about as well as your marketing company promised it would? Working with a sub-par SEO provider can be costly, frustrating, and can potentially harm the performance of your site years into the future. If you are curious about what exactly your current SEO firm is doing to help you—or if you often find yourself wondering if they are really doing anything to help you at all—it’s time to take a closer look and analyze the competence and true value of their services. Below, we’ve provided some information that can shed light on whether or not your marketing agency is going the distance for your success. When you begin your relationship with a new SEO firm, performing a thorough, baseline analysis of your site is a vital component to building a successful strategy. During this evaluation period, your SEO company should be able to get a sense of your current level of performance and detect significant hurdles that may hinder your website’s ability to gain a competitive edge. Impediments to your success in Google’s organic search results may include the use of black hat SEO tactics (currently or in the past), the presence of duplicate content, detrimental link-building, “spammy” on-page and off-page SEO, domain issues, and technical SEO concerns, to name a few. Ideally, your Internet marketing company will use a team approach during the evaluation, which draws on the expertise of several specialized professionals within the company to deliver an extensive, in-depth review that drives the planning of your custom SEO strategy. Based on the evaluation findings and a discussion of your goals for your website and practice, your SEO provider should develop a clear, custom-tailored strategy for improving and optimizing your website. The strategy should first outline high-priority objectives that address aspects of your site requiring immediate attention, followed by an overarching proposal that includes plans for developing the core elements of a successful approach. Getting your website updated to the current Google standards to avoid being penalized should be the primary set of tasks undertaken by your SEO company. To accomplish this goal successfully, it is vital for your firm to be fully versed in Google’s latest suggestions and algorithm updates, which are constantly changing the SEO landscape. For example, some of Google’s more recent adjustments have emphasized the need for removing harmful backlinks and making your website mobile-friendly with a responsive design to maintain favorable organic rankings. In addition to complying with Google standards and adhering to the most current technical SEO guidelines, a prosperous website marketing strategy should incorporate an appealing, user-friendly site design, a robust content marketing plan, and a proper link-building strategy. Social media marketing, pay-per-click (PPC) advertising, reputation management, and a variety of other elements also play an important role in your online success and should be evaluated for inclusion in your strategy by your marketing team. It is advantageous for your SEO company to provide and manage all of these services in-house in order to deliver optimal continuity of service. Many SEO companies participate in Google product certification opportunities (in advertising and marketing) to gain proficiency in certain services and achieve a Google Partner or Google Premier Partner badge. These badges indicate trusted agencies that have demonstrated their skill, experience, and up-to-date knowledge in specific areas, such as search advertising, mobile advertising, analytics, and more. If your SEO company is a Google Premier Partner, they have achieved an elite level of training, certification, and Google-endorsement enjoyed by only three percent of Google Partners in North America. SEO and website marketing are ongoing processes that need to be continuously supervised to evolve with ever-changing strategies, quickly detect any problems that may arise, identify beneficial efforts, and reveal areas of your website and strategy that could use enhancement. Your SEO agency should utilize Google Analytics, Google Search Console (formerly called Google Webmaster Tools), and other reliable SEO tools to precisely monitor your site’s progress and gather essential data for performance reporting. Honest progress reports that provide a shrewd assessment of your overall strategy are an integral component of a healthy relationship with your SEO company. Your representative should always serve as a reliable interpreter for what the analytics are showing, and they should translate those numbers into valuable insights and suggestions aimed at delivering successful results. Haven’t heard from your SEO company in a while? We find that the most successful online marketing partnerships involve a substantial amount of productive communication, whether it’s emailing about new content topics and completed projects, or phone calls with your representative to review your statistics and discuss new developments at your practice. No matter what, there should be an open, ongoing dialogue between you and your SEO firm to facilitate successful completion of the objectives and goals outlined in your marketing plan. You don’t have to be stuck with a digital marketing company that isn’t working for you. If you are interested in learning more about how Rosemont Media—a Google Premier Partner—may be able to help improve the performance of your elective healthcare website, we encourage you to contact us to speak with one of our knowledgeable representatives. Our experienced marketing specialists can provide you with a free marketing evaluation, discuss our SEO and marketing services, and explain how a custom-tailored strategy can help you reach your practice’s business goals. Editor’s note: The original version of this post was published on June 2, 2016.